Placing 24th Nationally is awesome! Congratulations to the combined U18 Capital Girls team who had a fantastic week at the 2018 Junior Olympics in San Jose, CA qualifying and playing in the upper platinum division. This amazing achievement wouldn’t have been possible without their number one supporters, the parents. Thanks to everyone, Go Capital! 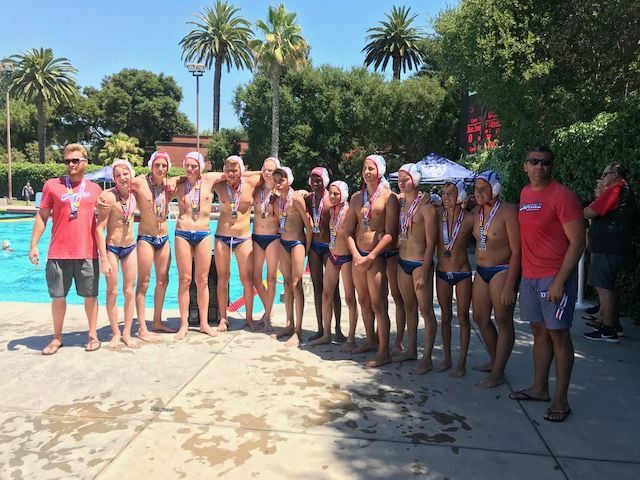 After 4 days of competition in San Jose, CA, Capital 14U Boys win 2nd Place in Bronze Division! Our Team Brings Home a Bronze medal from Montreal, Canada! Our Haba Waba team won third place and has brought home the bronze medal at a prestigious international tournament in Montreal, Canada! This is the third medal for our club this year! 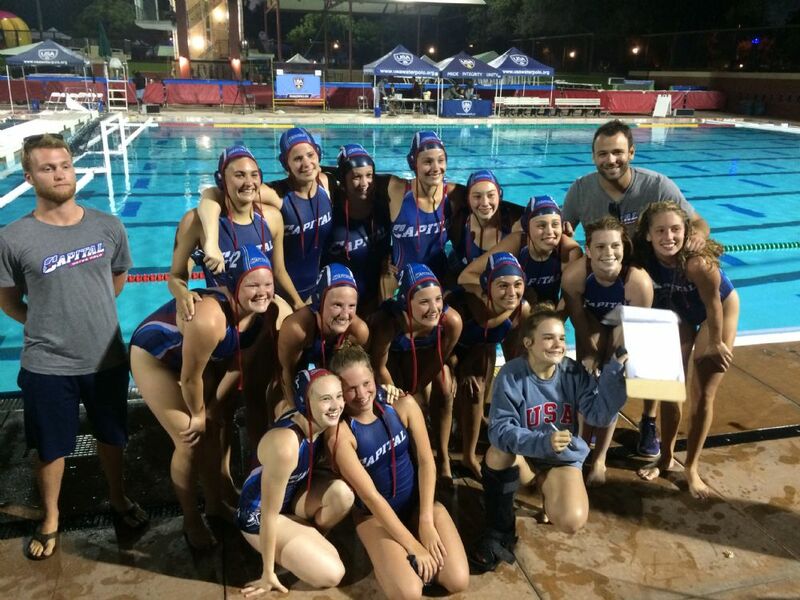 Congratulations to all our players who represented Capital Water Polo!! 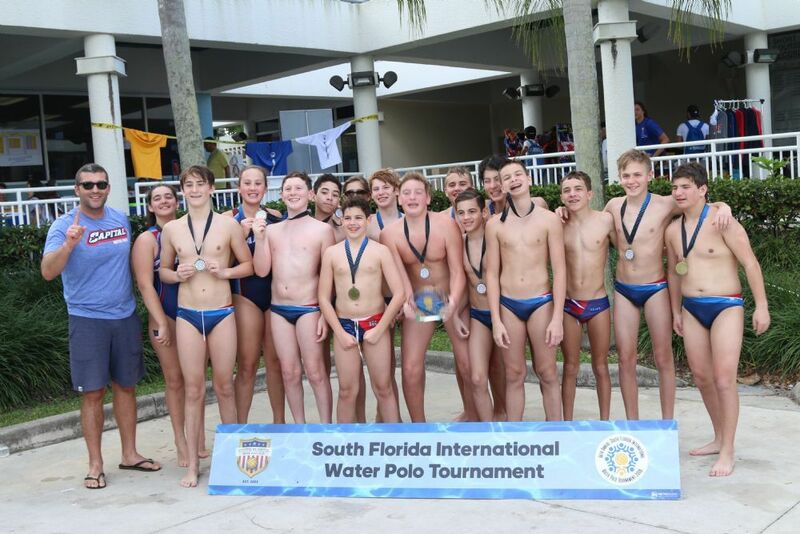 The Capital 14U Coed Team brought Home the Gold in the Florida International Tournament on February 18, 2018. 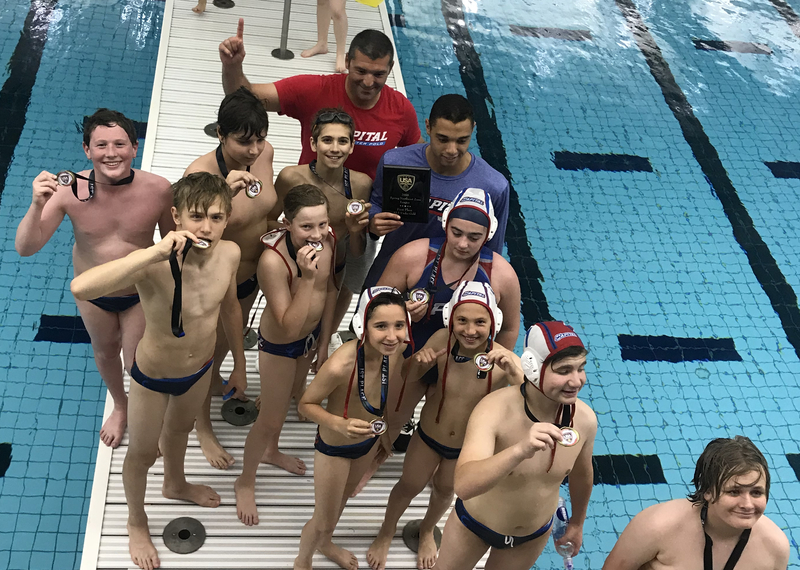 This marks the first time that a Capital Water Polo team has clinched the title in an age bracket in this competition. 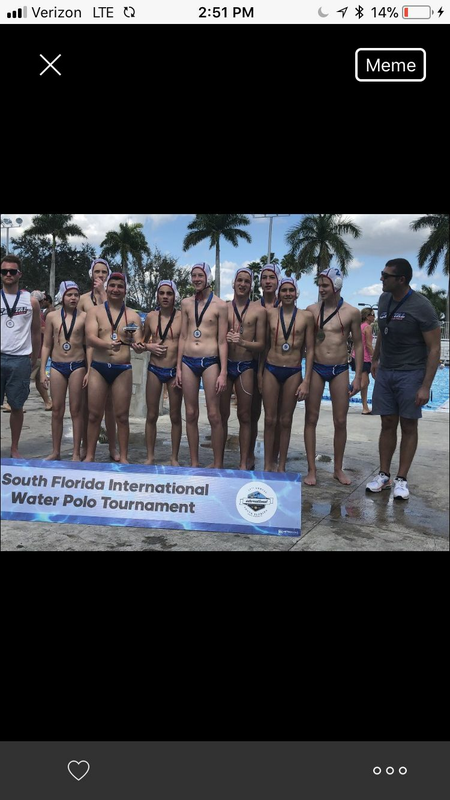 The 14Us went undefeated in this tournament conquering the Raiders and Whitecaps from Miami, the Trinidad Tobago team and our friends at Navy in both Semi-final and Championship play! It was a beautiful weekend in Coral Springs, Florida and the 14U Capital team shined like the champions they are thanks to their outstanding coaching from Coach Miras and their consistent effort and drive to bring home the Gold! Way to go 14U Capital Team! We are so proud of each of you! Look Who's New on Deck! Come on by Wakefield HS on Monday, November 20, 2017 from 8-9:30pm to meet Coach Petar! He is a dynamic and highly accomplished international water polo player and Coach! We are pleased to have his affiation with our Club. Capital Water Polo is a 501 C3 organization. Your donations provide scholarship opportunities, purchase of equipment and other team expenses. Please see our Donate page for more information.